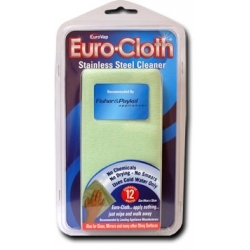 Stainless steel has never been easier to clean than with the Euro-Cloth which only requires cold water to activate its unique qualities. 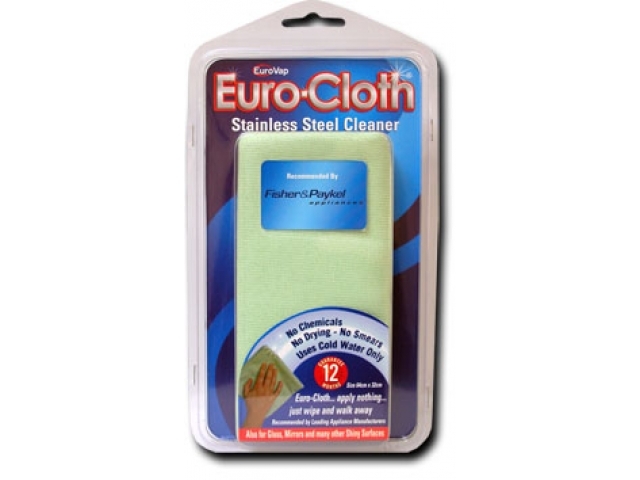 The Euro-Cloth is re-educating consumers to the simplicity of cleaning stainless steel by applying nothing. No sprays or oils are required. Stainless steel is not the problem! It is all the oil-based sprays and wipes which are applied to clean it. The combination of dirty fingerprints, dust and oil combined, make for an unsightly appliance in a very short time. Using only the Euro-Cloth gives you the ability to spot clean your appliance, unlike oil-based cleaners which must be applied evenly over the entire surface. To maintain the bright, shiny showroom finish you will only need to use cold water and the Euro-Cloth!